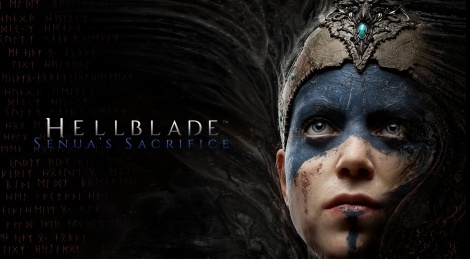 As you might have learned by now, Ninja Theory's upcoming game has a subtitle, Hellblade: Senua's Sacrifice. The studio kindly sent us this high quality version of the latest trailer which was created in Unreal Engine 4 and generated in real-time. The game is being developed for PC and PlayStation 4 and should release later this year. 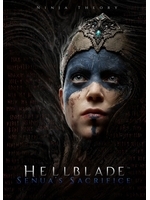 One of the best trailers I have ever seen but it's Ninja Theory. Proceeding with extreme caution when it comes to gameplay. i actually preferred the look of the previous design. looked more like the character she's clearly supposed to be (kai from heavenly sword) but the facial animation is great...apparently it delvs into themes of mental illness too which sounds interesting. i'm glad they basically started from scratch again though. the original gameplay wasn't convincing anyone. they have a hell of a lot to prove though. i don't think they've ever made a good game yet? kung fu chaos was pretty good i suppose. 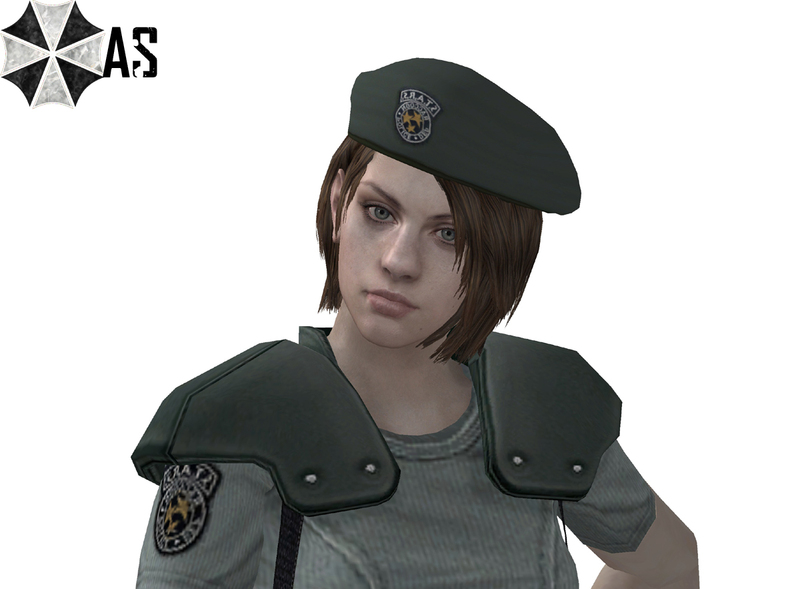 The new look of the character is closer to the actress used for the performance capture. This makes it easier to get realistic performance when not having to map the movements to a very different facial structure. The new look seems to go better with the (seemingly) northern European setting (i see some viking ship in the background). I don't like the new face. They ruined it. The visuals were the most impressive thing about this game to me and now it's all shattered. Another letdown. You really need to stop hanging all your hopes on one very early in development of games. And in general, take things into perspective. I really hope you're under 18 and have an excuse for letting something like that get in your way. I'm 28 years old. I enjoyed the dev diaries for Senua, stating how they tried to make a beautiful but broken warrior with this look of psychosis and even gave her back and arms uneven muscles to show how much she has used this heavy sword predominantly with her right arm over her years. She was attractive in a unique kind of way. The new character looks like a typical young woman. Uhhh, what? They always have amazing gameplay and games that have just never sold very well. I think it's sad that they threw away the face they created for better motion capture. It's an example of technology serving itself rather than enhancing what's already there. This is how you get those lousy CG scenes in movies. Games in development change. Hell Quantum Break totally changed to look of their main protagonist. Sure I thought the old one looked better than the babyface hollywood actor they have now but it's not that big of a deal imo. Why are you so obsessive over this? Outside the graphics, its another NT trailer with no gameplay of combat or such in it so it makes it boring to me. I no a lot of people complain about NT games, but I love them. I´m not a big fan of their animation transitions, but in DMC it was done nicely and I can´t wait for this. Great feeling! 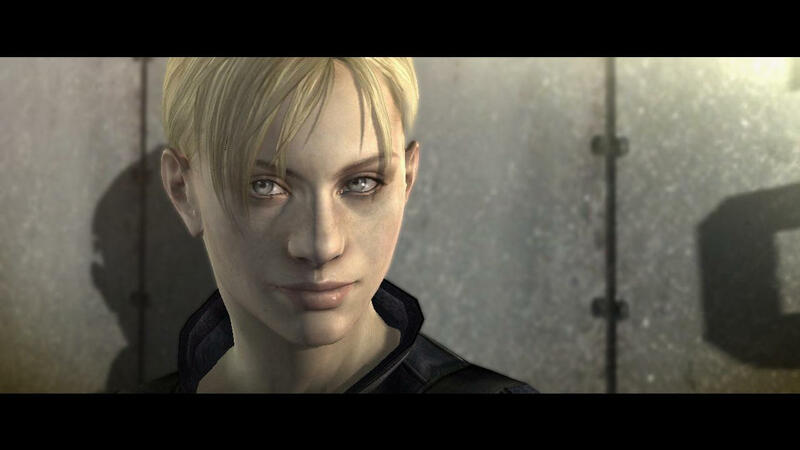 I think DMC kinda had potential, but they fucked it up with the enmies and their resistance to weapon types and stuff. Then tried to make up for it by tapping the ttack button once giving you a SSS combo. So they basically shat all over what made DMC great to begin with. Also they totally ruined the characters and made teh story kinda bleh. But i really liked how retardedly over the top DMC was originally, and especially 3. I'll reserve my judgement on this until i see what it plays like though, as i think DMC could have been good. 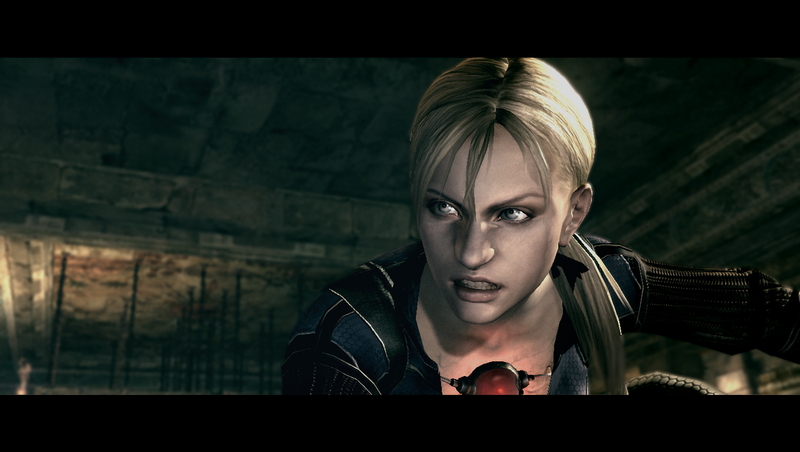 It never changed, it was based on the same Mo-cap actress from the very beginning. they added "cubic motion" for face capturing tech. same character model, same actress recorded differently, recorded in higher frame rate data. the same facial recording tech in Ryse, The Order, Until Dawn, COD: Advanced warfare, and a few other titles. The face and actress were separate. That's how most animation is done. I think switching to the real actress was a mistake. 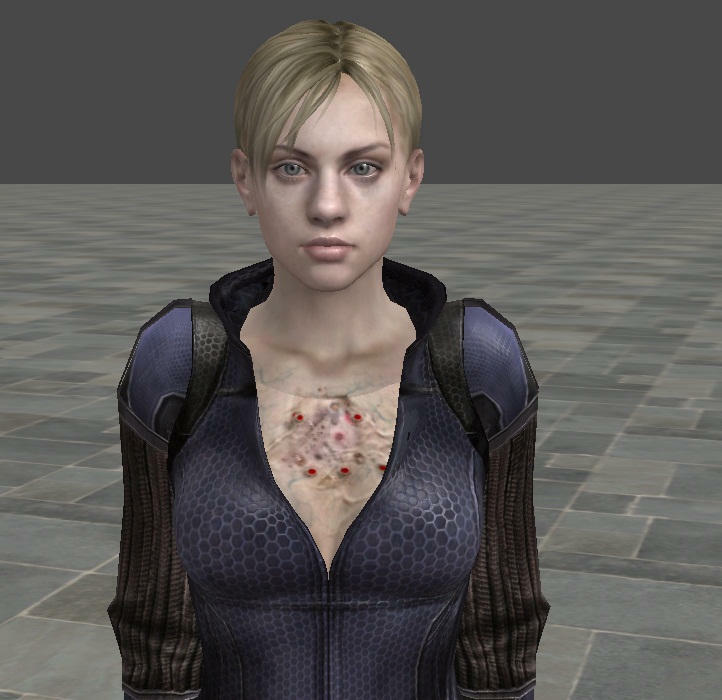 "Melina" the mo-cap actress was the basis from the very beginning, including for the WIP model. which was before the footage of that screen you posted. 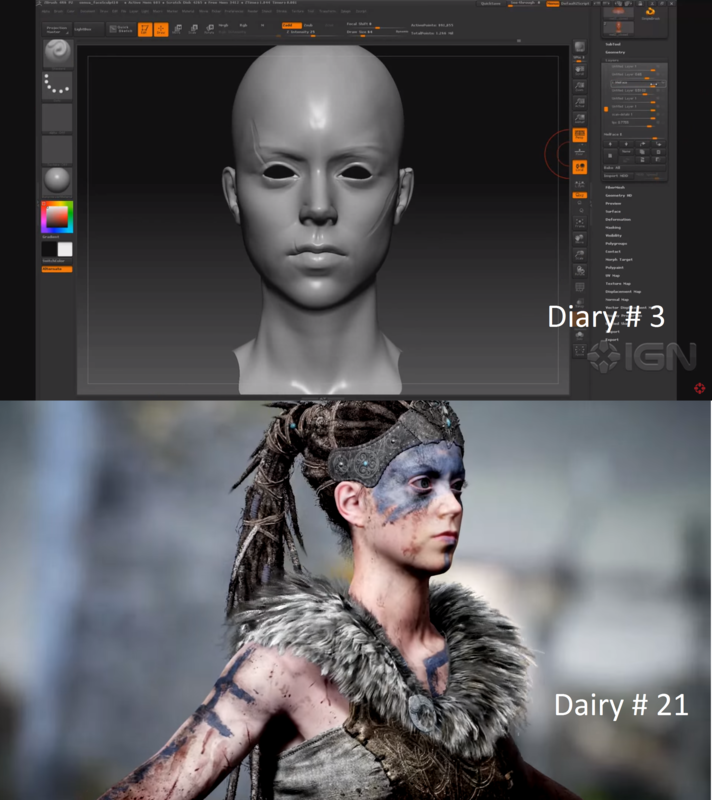 All of the footage of Hellblade has "Melina" as the basis of the Senua model, their facial recording tech simply changed; which is in that dev diary video i posted earlier by "cubic motion". The facial Tech of "cubic motion" deforms facial topography to move more like skin muscles. this will of course make her look more humanoid in expressions and drastically changing appearance compared to without using the tech. last example of Cubic Motion. comparison when using the same model. Same example model with higher resolution skin shaders and textures. I see.... But continue that video and you will see at 3:15 that they then fine-tuned the structure of the scanned face. He says that it gave them A BASE from which to SCULPT Senua's face. I honestly don't see the actress's face in the newest model. I think the old one resembled her more. First off in the Diary # 3 video at (3:20) the sculpted model isn't to be used for the game, it's strictly made for it's detail like scars and scratches. because the actress has none of these specific blemishes. their work is then transferred to a target model. (which was Melina) you can see the transition from 3:20 to 3:29, it's not in reverse where they use a face scan and compile the details to a sculpted model. I already checked a dozen times already; the target model in dairy #3 is the same as the one in the latest dairy, # 21.
same chin, philtrum, upper lip curves, cheek bones and eye space distance. the target model never changed. what i do notice however is how the face moves compared to before, she exposes more of her teeth and gums. The model has definately changed. That ^^ is not the new weaked chinned woman we see now. Yeah. The voice is different too. They must have found a new voice actress, whom they decided to use a live model as well. The old model was beautiful. I also thought the strong facial features matches her muscular physique better. Very disappointing. 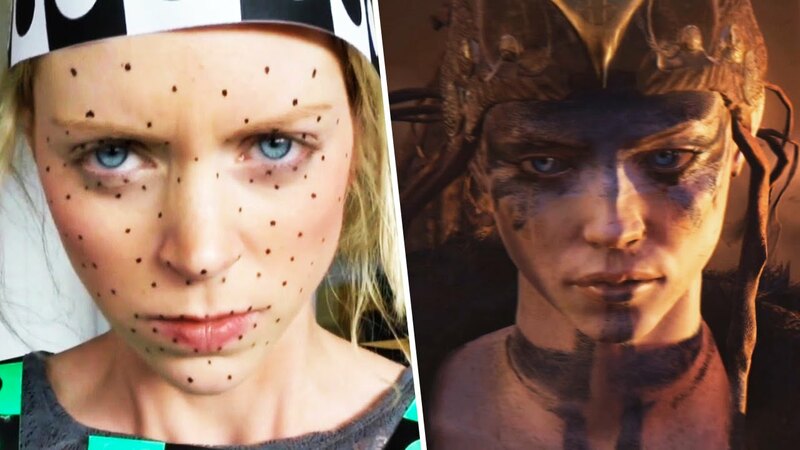 if you listen to them they say the mo-cap actress's face was used as a "references" from the very beginning for the character. it's from out of the horses's mouth so who am i to believe? ....Now between the timeline of then and now the only thing is the partnership with cubic motion. cubic motion doesn't redesign characters, they're a company that records expressions. 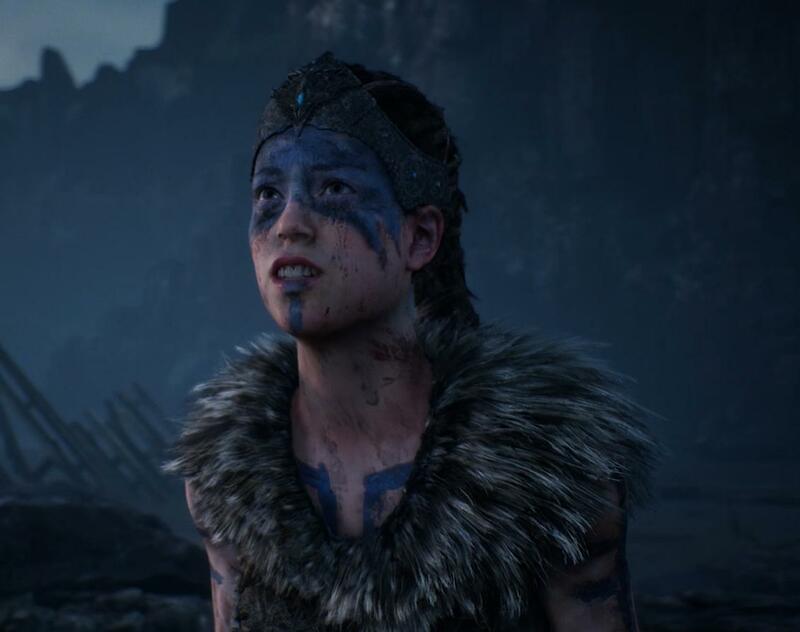 It's the face of Senua (with features based on Melina) with the expressions of Melina. now if you can't see that way then you're not looking carefully enough. You're right, it is the same reference model. The following video was released after the new trailer. The product definitely looks different, though. I still don't like what they've done. as that video depicts they made a push for realism with expressions. And at 3:28 realistic skin traits as well; which were not present in any of the videos before. But when not in motion If you look carefully they have the same basis in facial features. But Besides going off topic, The skin and facial technology in the older videos of Hell Blade were reusing similar techniques of the last generation, which is probably why it reminded people of their titles before. the things is though a game like "heavenly sword" had pretty advanced technology like subsurface scattering and realistic mo-cap as it was. Hell Blade is simply taking it further , in order to make their story more serious.